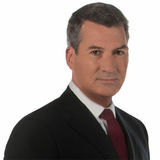 Even as their reporters were proving once again Monday night that CBC journalists are as good as any in the world by winning an international Emmy for coverage of the Ebola outbreak in Africa, CBC’s management was letting them — and the Canadian public — down once again by failing to broadcast yet another leaders’ debate in this election campaign. Monday’s debate has been universally praised as one of the best campaign debates in more than 50 years. But CBC chose to put Coronation Street on its main network. On its news channel, there was chit chat about commodity prices. Meanwhile on CPAC — god bless it — Stephen Harper, Thomas Mulcair, and Justin Trudeau engaged in two hours of lively, informative debate about some of the most important foreign policy, defence, and development issues of our time. 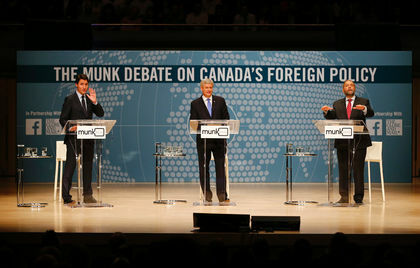 If Trudeau wins this thing, that debate will be seen as a turning point. There’s an old saying in journalism that you should never let yourself become the story. These days the CBC has failed too many times on that front. The public broadcaster used taxpayer dollars to go to court to fight having to disclose documents to the information commissioner. The Jian Ghomeshi saga is an HR, PR and management disaster — and that’s not including the alleged harm suffered by his accused. CEO Hubert Lacroix apologized last year for claiming $30,000 in expenses to which he wasn’t entitled. If what David Akin is saying is true, (and it is unequivocally so) then the buck stops with the leader of the C.B.C, Hubert Lacroix. In the private world of business, if the leader doesn’t know what they are doing , they either resign or get fired. 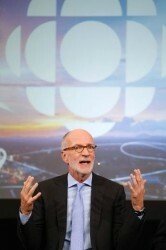 So, why is Hubert Lacroix still the President of CBC. Doesn’t the buck stop with him ? He should have been fired a long time ago ! Meanwhile, I am very wary of the CBC being controlled or legislated by the House of Commons on day to day CBC business. That is a huge conflict of interest. If the Prime Minister really wants to sleep in the same bed as Hubert Lacroix, he might as well go to Lacroix’s house with a sleeping bag, a toothbrush, and his RCMP bodyguards. There must be some arms length between the government and the CBC. If you have no confidence in the CBC in running its own operation, then disband the CBC, or put up with it. You can’t have your cake and eat it, Mr Akin, and the rest of your right winged followers. If no0t, why not ! All of you in the Toronto media were complicit in “allowing” Ghomeshi to pursue his foolish “s and m” lifestyle , including his shameful abuse of women. But, that said, none of you Toronto media types spoke up against it until Ghomeshi was fired from CBC and then, arrested by the cops. 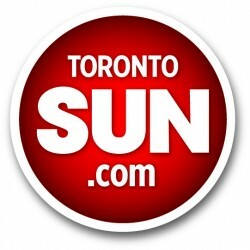 So, David Akin, your rule about the journalist getting too close to the story is often mitigated by the pack mentality of the Toronto media, in which your drinking buddies in the Toronto and Ottawa media often dictate the news story, and whether that story is going to be released now, or some time later ?